I love going to the movies. I know there are unlimited streaming options now and it’s much easier to stay on the couch with the remote. But it is not the same as going to the movies. A movie in a theatre is a real escape. The ultimate escape and cutest movie theatre I know of is the Empire Theatre on Block Island, Rhode Island. Built in 1882, it is still in operation. How is that possible? 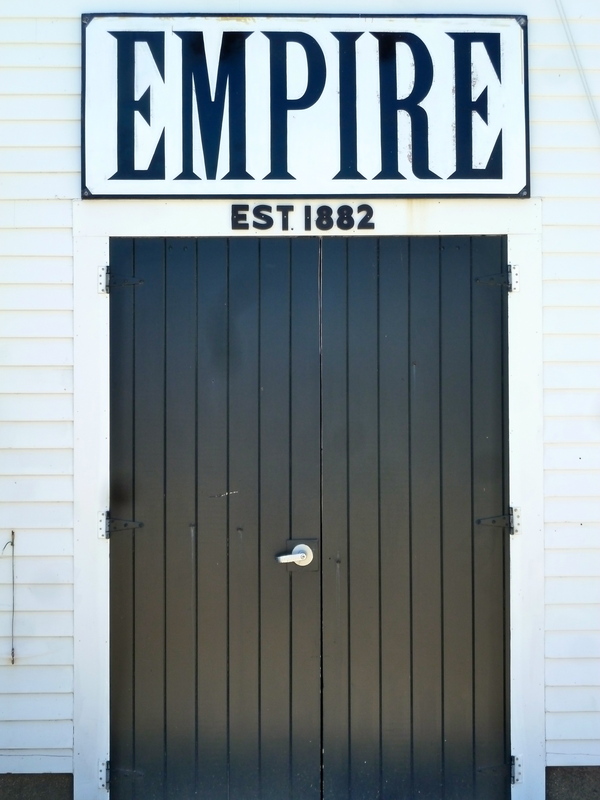 The Empire was originally built as a roller-skating rink during a huge building boom on Block Island. It was later converted to accommodate live performances and then to show movies in the 1930’s. In the 1960’s, as other buildings along the main street on Block Island started declining, the Empire witnessed a resurgence of live theatre with the Block Island Players and the Adrian Isle Players. But, despite this resurgence, the Empire also started to decline. It was open sporadically in the 70’s and sadly closed its doors at the end of the 1986 summer season. Over the next few years, prospective buyers of the Empire presented plans to turn the site into a shopping mall, a parking garage and other unsavory possibilities. Thanks to Gary Pollard who purchased the Empire and vowed to save the original building, we still have this incredibly special place. After extensive renovations, Gary re-opened the Empire Theatre in 1993. Also in the summer of 1993, the Empire offered an opportunity for children to act in classic plays called Fairy Tale Theatre. It was a wonderful thing for kids! Directed by the talented Emily Reeve, Fairy Tale Theatre introduced kids of all ages to classic fairy tales and the chance to act in a real play. My daughters (far left and second from right) and their friends did Fairy Tale Theatre for years. My youngest daughter also worked at the Empire during the summer and is now majoring in theatre in college. Any connection? Gary Pollard recently added a state-of-the-art digital projection and sound system to the theatre through a Kickstarter campaign and generous donations from Empire Theatre supporters. There is NO excuse to miss this historic gem of a theatre. There is live music on stage before the movie begins, the popcorn is amazing and you are surrounded by 134 years of history. Preservation at its best. Fairytale theater soo fun!! My kids loved it too! So sad it is gone… it was the best!